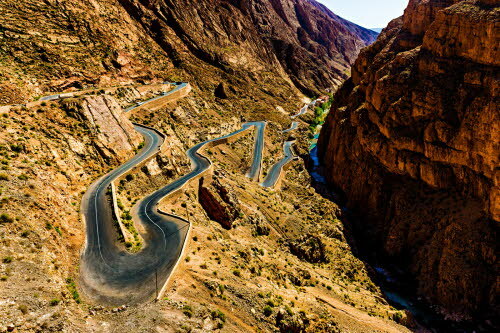 We’ve had a small number of clients arrive from North America specifically to take the High Atlas tour with us. 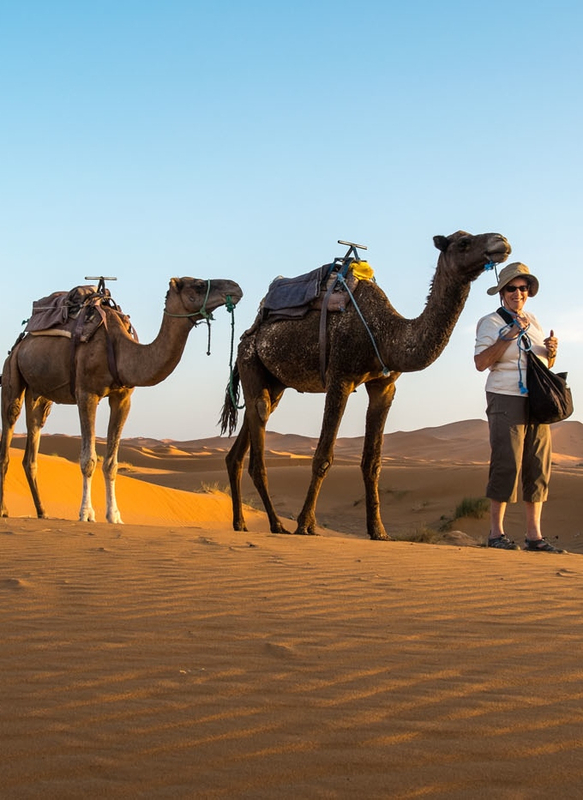 If you would like to be in touch with them to enquire as per any aspect of their time with us in Morocco then feel free to ask. Thank you for a wonderful trip. 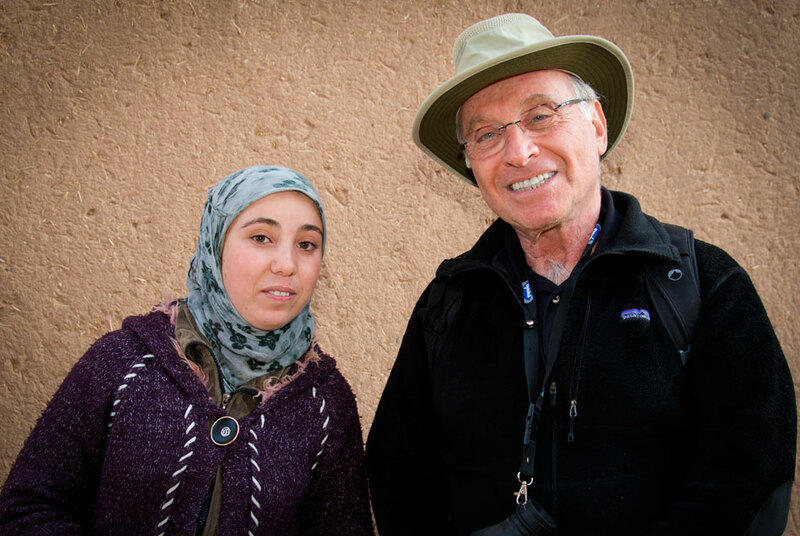 While I have been on various other photographic tours, I had no idea what to expect in Morocco. This was by far the most exotic and unique place I’ve been. Not only was the scenery exciting and different, but the people we photographed were amazing. The experience of photographing people in their homes, eating with them, meeting their children, going to market with them and watching them work as we visited with them made this trip very special. I think that I understand the culture as more than just a tourist. And, of course, the photographs of these experiences are a treasure…As this was a photographic tour, I need to say that you were an amazing instructor. You were able to take each of us from where we are photographically and help us to reach a higher level. Since our group was only three, we each received far more individual guidance than I have ever received before. But your hiking over the dunes back to the vehicle to get me a fresh battery was definitely beyond anything I expected! In a very relaxed and laid back atmosphere, I learned to handle the light that is characteristic of this part of the world and so different from at home. And we seemed to arrive at each location just when the light was at its best…The hotels we stayed at were wonderful. While they were traditionally Moroccan, they were all beautiful, charming and very well run. (And in addition to the Moroccan hospitality, they had all the modern amenities we could want!) 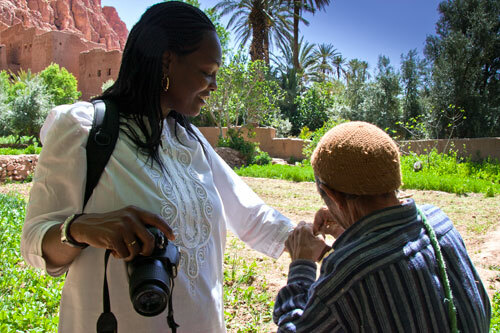 The hotels added to my feeling of being in a different place and the architecture reminded me of the history of Morocco–from the traditional tile work of the Riad to the French Auberge..The food was terrific and Naima was a big help in deciphering the menus. Her little “cooking lesson” the last evening and her guidance in selecting spices in the market were a real highlight. Sonjai is a well-traveled and socially adept woman who had innate ability to recognise a good shot and get it. Some people just have it. She booked a shorter version of the High Atlas and desert dunes tour as a private individual and was excellent in her enthusiasm for all genres. The total number of successful images she got during the 7 days is quite remarkable considering she had little experience with DSLR camera controls and exposure. Still now I’m amazed by the quality of her shots. In Sonjai’s case she is excellent with people but also she has the ability to understand framing – when to go wide or to go tighter really is something that’s intuitive or comes with experience. So the task was getting her up the speed with her camera and exposure control and then reinforcing her essential checks and adjustments required through the shooting day. Sonjai’s review scrolling down, and galleries can be viewed here.